Tracking individual Twitter visitors to your websites isn’t possible, but you can at least tell how much traffic Twitter (or any other social network) is sending your way. All of that information is just a few clicks away when using an analytics tool like Google Analytics. To check overall social network traffic using Google Analytics, go to Acquisition > All Traffic > Channels. Here you’ll see how much social network traffic you’re getting, and how it ranks compared to organic search, direct traffic, referral, and email traffic. If you click on Social, you’ll see a breakdown of all the social networks that are sending traffic your way, including Twitter, Facebook, LinkedIn, Reddit, YouTube, Pocket, and more. You can also adjust the time frame for your traffic using the drop down menu in the top right corner. Select a start and end date to analyze traffic during a custom period of time on your website. 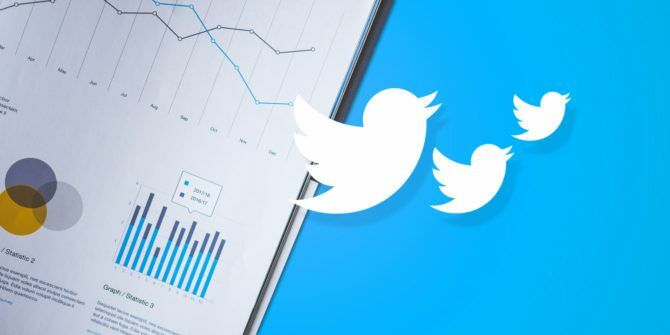 If you click on Twitter, the information remains the same, but you can see a visual representation of your Twitter traffic, which can be useful to understand how that traffic is changing over time. If you need help setting up the service, be sure to check out our in-depth guide on Google Analytics Your Guide To Google Analytics Your Guide To Google Analytics Do you have any idea where your visitors are coming from, what browsers most of them use, what search engines they use, or which of your pages is the most popular? Read More . If you find Google Analytics overwhelming, there are other options available. WordPress users can opt for the platforms native stats, which you can see when you install the Jetpack plugin. You can view all referral traffic, which includes the number of visits that come to you from Twitter. How do you keep track of your social network traffic? Let us know in the comments. Explore more about: Google Analytics, Twitter.